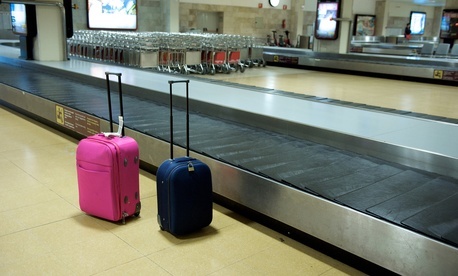 How much is lost luggage worth? Despite airlines mishandling fewer bags, the government is weighing several options concerning compensation rules for lost luggage, according to a report from the Government Accountability Office. The amount of mishandled luggage began to shrink after airlines started charging for a customer’s first checked bag, according to the report, which was required in the 2012 Federal Aviation Administration Modernization and Reform Act. About 100,000 fewer bags were mishandled in January 2012 than four years earlier, when fees for bags first were introduced, auditors found. GAO attributed bag handling improvements to a combination of better processes and to passengers checking fewer bags due to the fees. The report was specifically intended to evaluate compensation options for delayed luggage, but failed to do so as all mishandled baggage -- including delayed, lost, damaged and pilfered -- is lumped into one statistic measured by the Transportation Department. To compensate travelers, GAO recommended three possible options. The first would keep the current compensation regulations, which require airlines to reimburse expenses that result from delayed baggage. The second would reimburse the baggage fee, while the third would issue compensation based on the length of the delay. The watchdog agency also called on Transportation to create better measures for mishandled baggage. This could include tracking the number of mishandled bags compared to total bags checked, as well as assessing each category of mishandled bags separately.